Special mass prayer was held in churches across Mizoram for the defeat of the Citizenship (Amendment) Bill in the Rajya Sabha, Presbyterian church's Mizoram Synod sources said on Sunday. Members of 16 major churches of different denominations held prayers on Saturday night. The appeal made by the Mizoram Kohhran Hruaitute Committee (MKHC), a conglomeration of leaders of major churches, had asked the local churches of all the denominations to pray so that the bill gets stalled in the Rajya Sabha. The MKHC had earlier appealed to members to hold mass prayer on the night of February 16, but issued another circular on Friday last to conduct the mass prayer on February 9 or February 10. A press statement issued by the MKHC said that the bill is "harmful" for Mizoram and Christians. The bill, being vehemently opposed in the Northeast, was passed in Lok Sabha on January 8 and the Centre has said it will try to get the Rajya Sabha nod in this budget session. 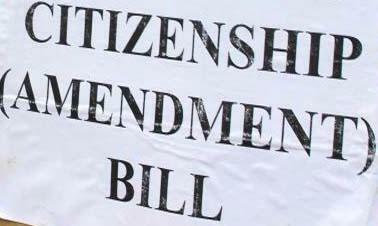 The bill seeks to provide Indian citizenship to Hindus, Jains, Christians, Sikhs, Buddhists and Parsis from Bangladesh, Pakistan and Afghanistan after six years of residence in India even if they do not possess any document. "Passage of the amendment bill can result in suppression of the freedom of religion and is against the spirit of secularism," the MKHC statement said. It appealed to the church members to pray for religious freedom in India so that the people can continue to worship God freely. Prime Minister Narendra Modi at a public meeting at Changsari in Assam Saturday assured the people of the region that the bill will in no way cause harm to their interests.